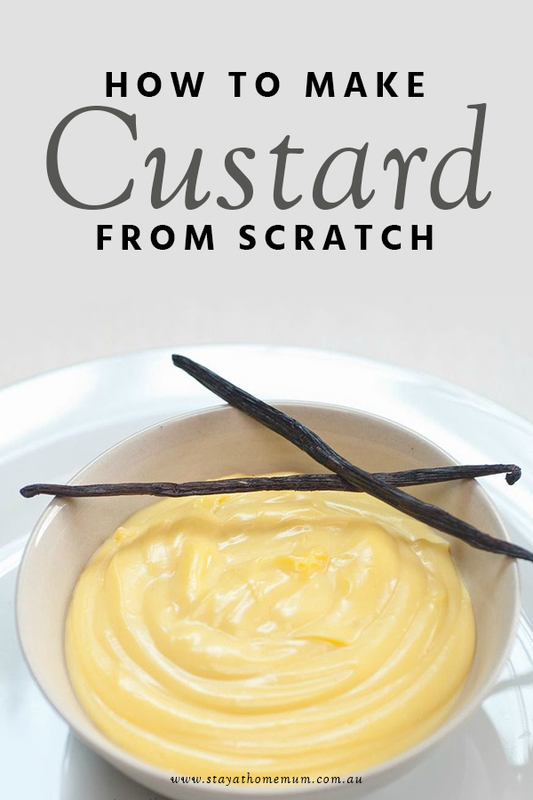 Many people do not know how to make custard from scratch, but it is so easy and you know that there won’t be any colouring or nasty additives. This is a very easy and simple recipe to make your own. 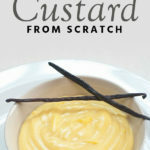 Perfect to make for the kids to come home after school on a winter afternoon and have warm custard to fill their belly! Tastes better than the shop bought and goes really well with puddings, cakes and ice creams. This recipe is always a fantastic ‘base’ recipe to make ice cream from scratch! Enjoy! In a saucepan gently heat the milk and vanilla until warm (not hot! ), remove from the heat and add the milk to the egg mixture. Tip it back into the saucepan and whisk constantly until boiling. Take off the heat and whisk until the custard is thick enough to coat the back of a spoon (if mixture isn't thickening, gently heat again). Serve hot or cold. If serving cold - add a layer of plastic wrap to the surface of the custard to prevent a skin forming. Not Suitable for freezing keep covered in fridge for 3 days.